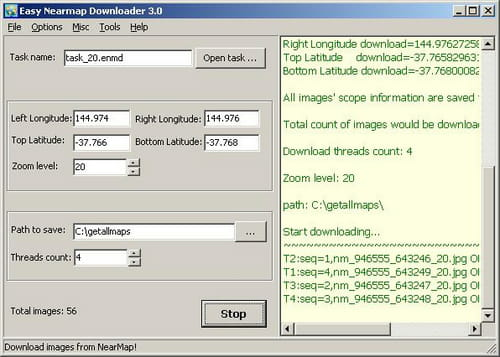 Easy NearMap Downloader is a tool that has been designed by getallmaps.com. This tool provides the ability to view maps offline. Easy NearMap Downloader is a tool that enables you to view maps offline. Simple and easy to use, the application downloads photo map images to your hard drive. Thus it gives you the ease to view them by combining all images into a big map image using its Maps Viewer. The application allows you to define area parameters with an easy-to-use interface. Latest update on November 17, 2016 at 04:32 AM.